You are here: Home / Intellectual Elitism or Responsibility? Hacking Christianity was featured at the Wesley Report regarding our recent post on “Seminary Education is Dangerous for Pulpits.” The Wesley Report feature focused on hints of intellectual elitism that seminary students “typically” have, and exhibited HX‘s post as endemic of this disease of elitism and bible-snobbery. 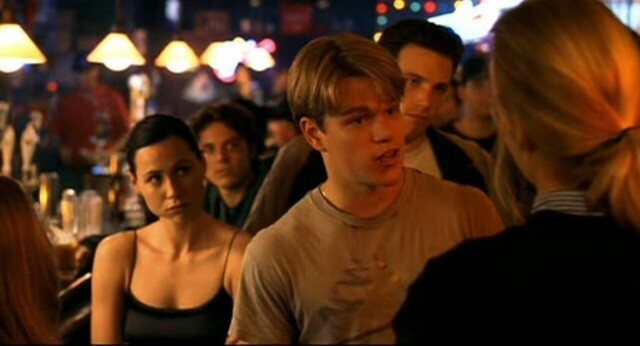 Will Hunting: Look, don’t try to pass yourself off as some kind of an intellect at the expense of my friend just to impress these girls. The sad thing is, in about 50 years you might start doin’ some thinkin’ on your own and by then you’ll realize there are only two certainties in life. One, don’t do that. Two — you dropped a hundred and fifty grand on an education you coulda’ picked up for a dollar fifty in late charges at the Public Library. Harvard Boy: Maybe. But I will have a degree, and you’ll be serving my kids fries at a drive through on our way to a skiing trip. Read on to see how Shane and I find common ground in defiance to biblical certainty. To me, this is exactly how Shane’s post characterizes the tension in the church between seminary-educated clergy and laity. Intellectual elites think they know the right answer because they got the education….but the people in the pew can know just as much as they have, especially these days with the internets. Intellectual elites say that a piece of paper (a degree) means they are better than the people in the pew…..but as Shane’s post indicates, that won’t get any pull in most parishes. Funny thing is….that I’m actually with Shane on this, and I said so in my first paragraph. There I was, a laity, sitting in a pew, wondering why the pastor was glossing over theological and biblical subtleties. I said so in the first paragraph, and yet then I get characterized as part of intellectual elitism. Reading Shane’s post, it seems it all hinges on the opening paragraph where I there was a failure in my post to articulate that there are differing levels of agreement among scholars, to which Shane jumps on and challenges my certainty. I can agree with that and accept his comment. What I do not accept is that this is intellectual elitism. In fact, the post was against intellectual elites who say that people are below acknowledging the debate over biblical topics and authorship! That’s what frustrated me in the pews is that the preacher consistently glossed over important biblical debates! What the truth or fact is is irrelevant…but it is fundamentally dishonest to think laity should not participate in the debate over topics. This is not about intellectual elitism, it is about intellectual responsibility to be honest about the debate! I have an intellectual responsibility to be honest with my parish. For instance, during the Scripture readings, I say “the author of John’s Gospel writes in the third chapter…” Did I say that John the Apostle wrote it? Did I say that a community of faith who struggled with Jesus’ message and compiled a vision of Christ drastically different than the Synoptics wrote it? Did I claim either with 100% certainty and thus intellectual snobbery? I don’t think so. By phrasing it this way I give honor to the debate while also not being mired into it. It’s easy to do…why don’t we do it? I have an intellectual responsibility to be honest with my parish. For instance, I will say when I hit a difficult passage that “I’m looking at it with my own lens.” Adam Hamilton does the same thing in his sermon on Homosexuality where he talks about comparing biblical texts with “the lens of Jesus.” John Wesley did something similar where he compared biblical texts with “the character of God.” By acknowledging I am using my own theology of the bible, then I invite others to use their own theologies. It’s easy to do, why are we afraid of losing authority if we do it? While Shane and I have taken some shots at each other in honest difference of opinion, at the end of the day, Shane and I have the same frustration and it is not intellectual snobbery, rather, it is unquestioned biblical certainty. And my beef is that clergy of all levels of theological education gloss over debate and preach interpretations that are presented as fact. Maybe because of the myriad of reasons that Josh outlined in a comment on the original post, I don’t know. But it is frustrating and elicited the original post not as a holding up of intellectualism, but as a rallying cry against it. Sheesh! The Wesley Report piece has it right: preachers are not the sole guardians of knowledge for our parishes. Like Good Will Hunting, most of our knowledge can be gotten in the public library or on Wikipedia (well…most) or by attending a few lectures. Clergy need to adapt from dispensers of knowledge to embodiers of how to interpret, live, and breath the texts. And if we can’t embody the debate, if we gloss over debate and accept the status quo, then we will frustrate laity like Shane who know otherwise. Thoughts? Welcome to our visitors and all comments are cherished! I see no problem in talking about issues like authorship, etc., but let’s face it: most people just don’t give a crap. When people lose their job, they’re not wondering whether the apostle John wrote the Gospel of John. To paraphrase Fosdick: people don’t run to church to find out what happened to the Jebusites. We don’t have the time to cover these details from the pulpit. Conversations and studies are the best place for it. As for seminaries, I’m convinced they should have FORMATION in mind, not so much passing on great INFORMATION. Div schools and seminaries should form students and send them out with a certain trajectory, to become certain kinds of leaders. The very idea that seminary is all about getting the right information is a telling problem. It tells me that they’re usually more worried about producing the next generation of scholars (with little connection to the mission of the Church) rather than the next generation of pastors and/or Christian leaders. If seminaries were conceived of missionally instead of professionally, the academy/parish divided would disappear. And perhaps there was some misunderstanding with the wording of your original post, which seemed to assert that it WAS a 100% certain fact that John did not write John, although this post could perhaps be interpreted as taking a step back from treating such matters as settled issues. On the other hand, I might have misread Shane and/or you. Acknowledging nuances beyond overly simplistic “Sunday-School view” of biblical texts and truths certainly has its place, particularly in congregations that are likely to have a higher level of pre-existing awareness of such things. But the last commenter raises an important issue in terms of relevance to people’s daily faith walks–particularly when the more one digresses into an esoteric discussion of scholarly debates the less interested most pew people will be. The latter’s something I’ve had to deal with a bit more myself since coming to seminary. @Casey, my spouse is in higher education and would agree with your formation sentence. My spouse often says that higher education’s goal isn’t depositing knowledge, but teaching people how to think critically. As far as “people not giving a crap,” I give a crap about being authentic and preaching an authentic gospel that I believe in. If I am uncertain that the Apostle John wrote John’s gospel, then how can I stand up there and claim it? By my example above, there are easy “hacks” we can do that honor the debate while keeping the flow of the service. And if you ask later why the preacher said “the author of John’s Gospel” then there’s the opening for more formation. @John, that’s certainly an old way of looking at this divide. As Shane examined in his original post, there are segments of anti-intellectualism but they don’t define evangelism as a whole. I would push further and say that there are segments of intellectual elitism, but they don’t define theological education as a whole. You are in seminary now, have you seen a range of attitudes? Interesting discussion. As a preacher, I agree with Casey that the pulpit is not the best context to engage those kinds of questions; a Disciple Bible Study or small group setting works much better. Overall, it is an issue that I can see both sides of. For example, I have heard anecdotal stories of people going off to seminary, only to be devastated to learn the documentary hypothesis and wonder why his or her pastor growing up never talked about it. On the other hand, if I as a pastor personally believe that a real man named Moses wrote the Pentateuch in some fashion, then I have no problem saying “Moses” instead of “the author of Exodus . . .” I would want the people in the pews of that congregation to begin with the assumption that Moses did indeed write what tradition claims he did, and feel no compulsion whatsoever to let people know it is debatable. So the question seems to be: for those preachers who believe such questions are debatable, do they have a responsibility to their own conscience to share the competing claims with laity? To get at the heart of it, you would have know what the pastors themselves really truly believed about the answers to those types of questions before calling their character into question. Jeremy, I don’t want to put words in your mouth, so I will ask directly – would you say that preachers who believe one thing – ie. John’s gospel probably wasn’t written by John – and say another – ie. “John writes in his gospel . . .” that these preachers are being dishonest? I don’t have much to say on this discussion, but just that I’ve been thinking about this a lot lately… intellectualism in seminary education. I’m now in Pastoral Care/Counseling and Preaching, and it seems to me that all the stuff I just spent 1.5 years learning is of no matter. I can write a good essay. Who cares? My congregation needs a good story, not a good essay. I remember partially making the choice for BU because I didn’t want to be a “stupid pastor.” Well, maybe I should have just stayed in Ohio and gotten a hippie-dippy but completely applied education. Does anyone care what Kant says? Do I care what Kant says? People need comfort and encouragement… nothing Kant says is comforting or encouraging. Sometimes I wonder why I did all this. All I needed was one course to teach me to think theologically. I’m missing out on a lot- Christian education, a *quality* PC/C course, the list goes on. And for what? Now I know what this theologian says about that. I’m afraid that I spent a lot of time, energy, money, and grief so that I could fail as a pastor anyway. Perhaps my last comment highlights the dangers of trying to say what other people said. I’m honestly not sure I understand which part you were referring to in your response, so I’ll try to respond as best that I can. I certainly did NOT mean to say that such snobby elitism was characteristic of ALL seminary-educated, liberal (two modifiers that are not identical) mainline folk–I was simply noting the fact of its existence for many. There’s certainly a range of nuanced views here at Harvard Divinity School–though the center of gravity’s not quite at my end of the theological spectrum! I have noticed that the degree to which such environments suppress or exclude certain (traditional) viewpoints and operate with a culture of presumed ideological consensus, it *can* help to foster a sort of academic anti-intellectualism, where those of the “correct” viewpoint not being challenged to actually think through the assertions and assumptions of all the like-minded people around them. Larry wrote: would you say that preachers who believe one thing – ie. John’s gospel probably wasn’t written by John – and say another – ie. “John writes in his gospel . . .” that these preachers are being dishonest? Thanks for the question, Larry. I won’t judge others, so I will answer for myself. When I preach, I am exhibiting to people a theology of the bible. I am showing how I interpret the bible, what lens I am using, and encouraging them to do the same. Since I hold a value of open discussion, then I will openly discuss (or leave the door open) biblical nuances and difficulties. Like Casey said before, it is hard to do that without cluttering the worship service, but it can work! So no, I would not say they are being dishonest. They just may not hold the same values as I wrote above, or their theology of preaching overrides concerns of this matter. But to the people in the pew, and I used to be one of them, it is worth reconsidering in this information age. Thoughts? Thanks for your pointed questions, as always, Larry! While not trying to sound elitist myself, I’m a lay person with a master’s degree. I think there are many people in your congregations who would enjoy hearing more seminary-type discourse. I agree that the pulpit might not be the best place, but it should definitely show up in a small group setting. Smart people (not necessarily higher educated) want to have smart discussions to explore and enrich their religious life. I just joined my church’s theology book club (Church of the Brethren). They were expecting seven people, but more than twenty showed up to discuss Bultmann’s Jesus Christ and Mythology. @carolynsinger – It sounds like you need comfort and encouragement yourself. Keep at it, I’m sure you will be a great pastor, Kant or not!